This is SUPER exciting!! The gals in the sewing department have been very busy lately coming up with all sorts of awesomeness!!! 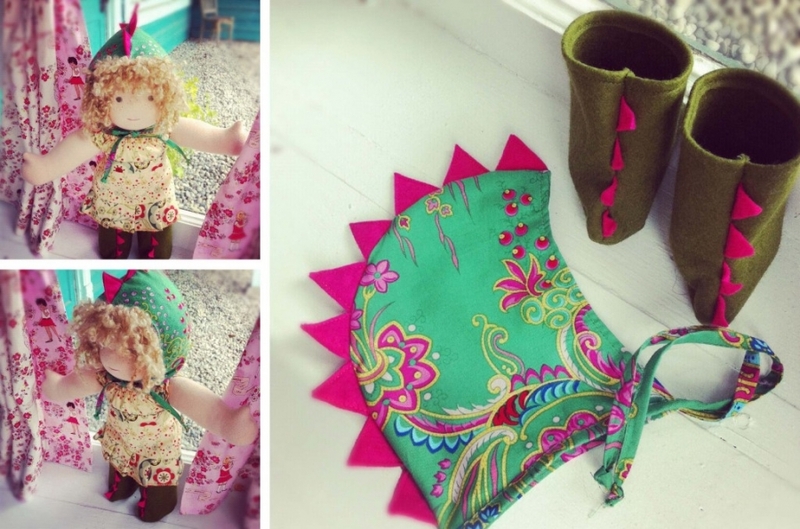 Our mini giveaway tonight is this awesome Dino costume intended for your 15″ Bamboletta Doll! It is SOOOOO cute!!! That set is dyno mite :)! Oh my, my dino loving grandson would love this! Such a cute little set! Love the creativity. It’s kind of hard to contain how much I want to win this! And if I don’t win… I sure hope you guys (or someone) makes more! Eeek! Oh my gosh..this is so beyond cute! wow love this! my dino loving girl would love it too. The epitome of dollie dress up awesomeness!!!! WE NEED IT!!!! 🙂 thank you for the chance!! ✋high five Bambo ladies! That might be the cutest thing I ever did see! /SQUEEEEEEEE those r sooo amazingly precious!!!! How can u NOT love them!!! Thanks for the Mini Giveaway!!! TOOO CUTE! It is so stinking cute!!! So cute, our girl would love a dinosaur outfit! oh my – astrid would look fierce in this!! Our Amelia would look awesome in this for my daughter’s birthday! My daughter would love this!! She’s a huge Dino fan! My little girl loves dinosaurs. That is dinotastic! We love dinosaur things here!!! How awesome are they!! hahaha! Oh, just <3 this!! We are all about dinos in our house right now 🙂 (kind of a dino/ninja/dollie mix) Thanks for the awesome giveaway!! We would love this for our doll! OMG, I love this, so cute! Oh my goodness this is beyond precious! That is such an adorable little costume!!! I’m doing the Dino Dance! Fun stuff. Ha ha ha !! Or as my son says roarrrr! So cute, you ladies have so much fun. Never saw a dinosaur costume for a doll before. I’m sure Berk and Goldie would love it! Oh Myyyy!!! This is DI-NO-MYTE!!!!! What a fabulous idea – well done! Bwahahaha! Love the dino pic. How stinking cute is that! Our doll Jade would look SUPER CUTE in this! LOVE IT! Seriously! Just when I think you girls at Bambo are at the top of your game- you go and pull a gem like this! Cuteness beyond words! So cute, my daughter would love this. Oh how adorable!! 🙂 Love it!! How cute!!!! Costumes are the best ! This is so cute! How creative! Your dolls are such an inspiration to children. I love to see the creative mind at work in your workshop each week! My daughters just love looking at all the dolls and would be honored to own one. My son is a huge Dino fan!!!! What a cute idea! Wish I was that creative! OMG! Today, it’s my daughter’s birthday. Perfect for her! Very creative! So cute! Thanks for the chance! How cute! Thanks for the chance! Absolutely adorable! My girl loves and dinosaurs. Great combination! I am blinded by the cuteness! This would be so much fun for my kindergarten classroom friends! This would certainly entice the boys to play with the dolls a little bit more! Thanks for the chance to win it! And yes, my Bamboletta is in my classroom getting lots of lovin’. 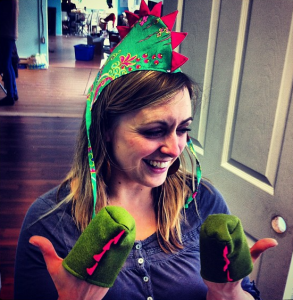 I have a dino costume pattern for my daughter for Halloween. This work go perfectly! That’s adorable. 😉 Enter us, please! so cute. I want one in my size too. OMG this is THE cutest thing EVER!!!!!!!!! Me please!!!!! Those are so cute. this hat is sooo cute..hope i am the lucky one to get picked. my dolly needs a dragon hat. My daughter LOVES dinosaurs and would love to win this! NO freaking way!!!!! We have got to have that! This would be a HUGE hit at our house! Adorable outfit. You are all so talented! RAAWWWRRR! To the cutest Dino ever! It would be so great if Bessie could come home from her repair in the dino suit!!!!!!! That is just way too cute! Love it! So great! Thanks for another great draw! We have a huge dinosaur fan here! We’d love the dino costume at our house! Cutest stinking thing ever! What a creative and imaginative group over there! Eeks super cute thanks for the chance. cute, cute, cute!!!!! Thanks for the chance. Oh… sign me up, and “Thanks”!! She is so cute!!! And so is the doll 😉 Seriously fun stuff Team Bamboletta! I’d love to win this for my little dino-lover! So cute! Tee hee hee, How cute is that! Too cute! My little Hazel loves Dinosaurs! So cute!!! I would love it!!! Oh my how adorable! Thanks for the chance!!! Adorable! The littles girls would look so cute in a Dino costume! This is so cute!! My little boy Alexander would love this for his bamboletta Oliver. He is obsessed with dinosaurs!!! OMG! These would be great for Halloween! How cute – My girls would love this! Fingers crossed…. Oh WOW!!! We love dinos at our house. This would be great! love it! Those sewing mummas are super sweet! ohh, this is adorable! My son and I decided we’d put it on his baby– my daughter– if it doesn’t fit any of the toys! She’s a slightly small nearly 11months- this would be hilarious at her birthday party! So adorable!!! Just love it! You guys come up with the cutest outfits!!!! Oh this is just too cute. I am keeping my fingers crossed. oh yeah!!! this is the BEST EVER!!!!!! thanks!! What kid does not like dinos? RAWR!! Love it – thanks!! Ohmigoodness!!!! How cute is that??? Thank you for the chance! So cute, love the outfit ! My daughter would love this for her dollies! Wow! What cuteness!!! Love it!! C has a dino costume she wears, she would love her dolly to have one! Ill give it a shot 🙂 thanks! TOO, TOO Cute!! Thank you for the chance!! Too cute! Keep the costumes coming! © 2018 Bamboletta Blog|ProPhoto Photo Website by NetRivet, Inc.